Let's assume for a moment you are walking down a street made up of artistic people who know a thing or two about computers. 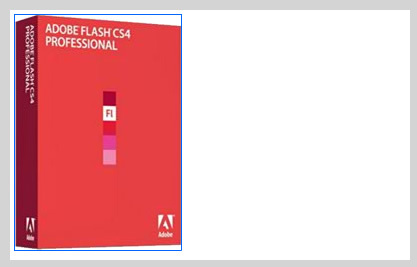 If you had to ask these "artistic people who know a thing or two about computers" what Flash is, they'll almost always say that Flash is an animation tool. Once you have done that, the New Document window will disappear and you will see a blank stage that you can work in. The size of your design area is a little large, so let's change that. After you have entered those values, press OK to close the Document Properties window and to have your design area resized to 400 x 250. With your image in the right location, take a look at your timeline - the large area towards the bottom of your Flash window with all of those numbers and grids. 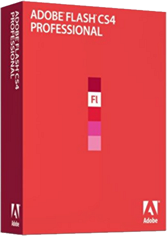 Your playhead is the red rectangle with a vertical line. 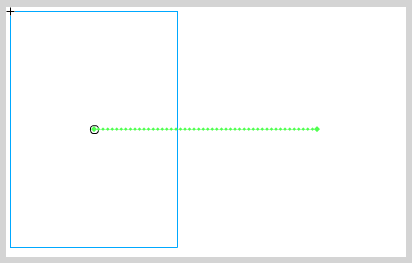 It is used to indicate where in your animation your design surface is currently at. With your image now on the right edge, press your Enter key. 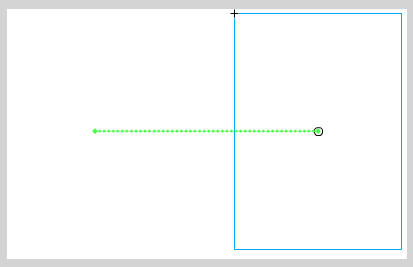 When you press Enter, notice that you are seeing the box animate from the left-hand side of your stage to the right-hand side. 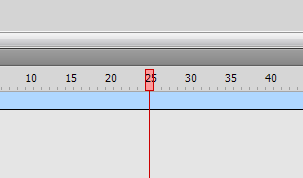 Now that you are at Frame 50, if you happen to preview your animation again, you will notice that it takes about twice as long for the animation to move from one edge of the screen to the other. If you want to preview your animation independent of your stage, press Ctrl + Enter where your animation will be displayed in the Flash Player window. Getting back to my example, I actually have the image fading in and then fading out. Currently, your image is visible throughout the entire animation. Let's fix that. While you are at Frame 50, make sure your image is selected and look over in the Properties pane. If you happen to play back your animation, you will see that it starts out as visible and then becomes invisible. This is good, but we want it to start out invisible, fade in to visibility, and then fade back into invisibility towards the end. If you preview your animation now, notice that you nothing is displayed. This doesn't seem like we are heading in the right direction, does it? Actually, we aren't doing too bad. We have our starting and ending state of our image set. It is fully invisible at Frame 1 and Frame 50. What we need to do is make sure it is fully visible somewhere in-between those two frames. Once at Frame 25, click on your image again. Because your image is invisible, click somewhere in the middle of the green transition dots to select your invisible image. Better yet, preview your animation now. Notice that you have created the animation that you set out to create! You have an image that starts out invisible, becomes fully visible, and then disappears again. 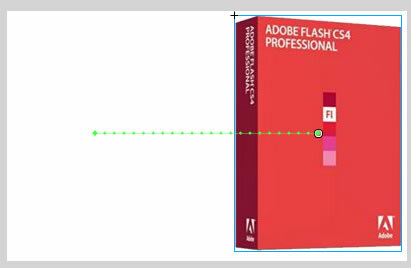 This tutorial was a broad overview of some of the animation features you have in Flash. 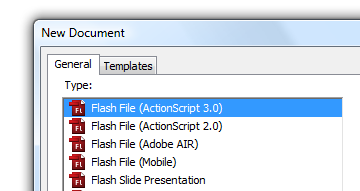 If you are familiar with previous versions of Flash, none of the terminology in here was particularly new. What was new is how you actually created your animation. In the past, you had an instance of your object at your starting point and another instance of your object at the end point. You also inserted two keyframes to represent that. The tweening system calculated the differences between those two objects and presented them to you. 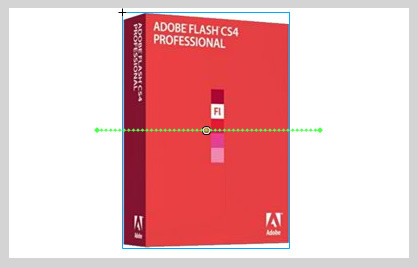 By default, animations you now create since Flash CS4 are property-based where the properties of your object are modified over a period of time. You have the same object throughout the lifespan of your tween, and at various points in time, the properties that make up your object are altered instead of the actual object itself. In our example, it was our image's X and Alpha properties that were changed over a period of time. That seems trivial and the end result doesn't look dramatically different, but this is a major change that the Property Based Animations tutorial covers in more detail.